In this entry, we will take a close look at what each question of the INSEAD application is asking. This analysis will hopefully provide you with a basis for understanding how to begin answering your essays strategically. Also, unlike past years, a CV is now a required document for the application, so the admissions committee will have an overview of your work experience, education, and other activities such as volunteer work or personal enrichment endeavors. Now that they have a general idea of what you did, it will be the responsibility of your essays to highlight personal qualities rather than summarizing actions. We love this question – it puts the power in your hands to tell them exactly what they want to hear: what you’re working on, what your major responsibilities are, and what major results you’ve accomplished. We recommend answering this question in 250-350 words, depending on the complexity of your current role. You can start with a brief description of your employer, the context of your team, and your role, and then dive into your responsibilities. Your task here is to not only tell them what you did, but interpret your role. Explain why your position was strategic in your team and what was the significance of your role to the company. Because there is little place for creativity, it is crucial that besides just answering the sub-questions of this essay, you differentiate yourself is through well-written and impressive text. That means, make yourself sound well-versed in your field, professional, knowledgeable, and accomplished. This position, remember, will be your point of departure before your next step of getting an MBA, so it should show your current skills, implicitly indicating that you’re ripe for a rigorous business program. This is a tricky question. You should answer it carefully and methodically in about 50-150 words. On the one hand, you want to show that you are ambitious and will go far with or without an MBA. You don’t want to give off the idea that you can’t envision any growth for yourself without an MBA – if you downgrade your current position and potential for growth, you are downgrading your value as a candidate. On the other hand, you still want to show that you need an MBA to pursue your goals. After all, if you can achieve your goals without the MBA, then that renders the program quite irrelevant. 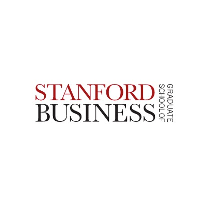 So you have to walk a tightrope of showing your confidence in professional growth regardless of an MBA, while demonstrating how an MBA can significantly help your goals. 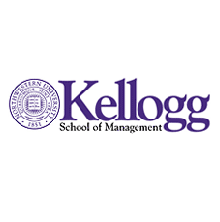 One way to go about this is by using the excuse of time – you would be able to achieve something much faster if you had the experience of an MBA under your belt. While an MBA is not your do or die, it will certainly help. Another option is if you’re looking to do a career switch. If you’re an engineer, you will probably become the head of R&D without an MBA, while if you get an MBA you will become VP of business development or VP of product. This shows an equal level of motivation, but a shifted focus that makes the MBA a crucial transition point. Another way to look at this question is as an “opportunity cost” question. By choosing to go to INSEAD, you will be sacrificing the opportunity to take the next step with your current employer. This type of answer will take some long term thinking, showing why, even though the next step with your employer is promising, an MBA makes the most sense in the long run. INSEAD likes to see calculated, grounded candidates who have thought through their options, understand their career goals, have digested their ambitions, and are going after that which will move them forward. You’ve surely noticed by now that short answer doesn’t mean “easy answer.” Don’t fret. Knowing what they are looking for is half the battle. This essay asks the classic “walk me through you resume” question. Remember that in the first essay, you described in detail your current job. That means that you shouldn’t waste many words on that in this essay. Describe your resume up to your current position, mention it, but do not explain it any further. Plan on allotting between 200-350 words for this essay. What does it mean to walk someone through your resume? Remember, we started by saying that your essays should not be a summary of your CV. Instead, you should treat this essay as a growth story. How has your career evolved in terms of skills, responsibilities, management opportunities, and accomplishments? Are there any weird turns along the way? Explain them and why they were significant to your overall career path and the professional they have molded you into. You want to come off as having a healthy rationale alongside your unyielding motivation. Weird transitions should not be glorified but put into a context that makes sense for your career. Note that this question is not interested in any academic of volunteer work, except for any internships you may have held during your BA. Focus only on professional experience. If you had any significant professional achievement during while completing your undergrad, feel free to mention it; the words “post-graduation” are a guideline for the type of experiences they want to hear about, but are not set in stone. A general structure to follow would be: one line for company description; one line on your professional title; one line on your key responsibility in the role; one line on a main accomplishment; one line for what you learned; and one line that considers the rationale for moving to your next position. Rinse and repeat until you’ve described every position you’ve held. Just like in Job Essay 1, there is no place to be creative, therefore, you need to impress with details and high quality writing. Up to this point, you’ve described at length your current position (essay 1) as well as the arc of your professional experiences (essay 3). This makes you ripe to answer essay 4, which is a classic career essay. What are your career goals and what are the milestones you have to hit along the way to achieve them? The idea here is to focus the content on your aspirations as opposed to why you want an MBA – that question was somewhat answered in essay 2. Here is an option for structure we recommend for this type of essay. First of all, start with an introductory paragraph that describes your passion. The introduction will be a synthesis of essay 1 and 3, bringing your experiences together to demonstrate the passion that fuels your love for your career which in turn fuels your motivation. Once you’ve described what it is that drives you, we recommend the “three-term answer”: what you intend on doing in the short-term, what you intend on doing in the mid-term, which will serve as a bridge to your long-term goals. Essentially, you want to answer how INSEAD can help you reach your immediate short-term goal. Your short-term goal will then help you reach your mid-term goal, which will in turn lead you to your long-term goal. Make no mistake; the long-term goals should be crystalized and clear. Just because they are far away doesn’t mean they can be ambiguous or vague. Even if they are not as detailed, they should be well thought out and they should make sense within your overall story. If you know where you’re going, INSEAD will be incentivized to help you get there. As far as your short-term goals go, the first thing to think about is aiming for a track that is supported by the school both in terms of academics and campus recruiting opportunities. Check what companies recruit at the schools to which you are applying, and mention them as companies of interest. 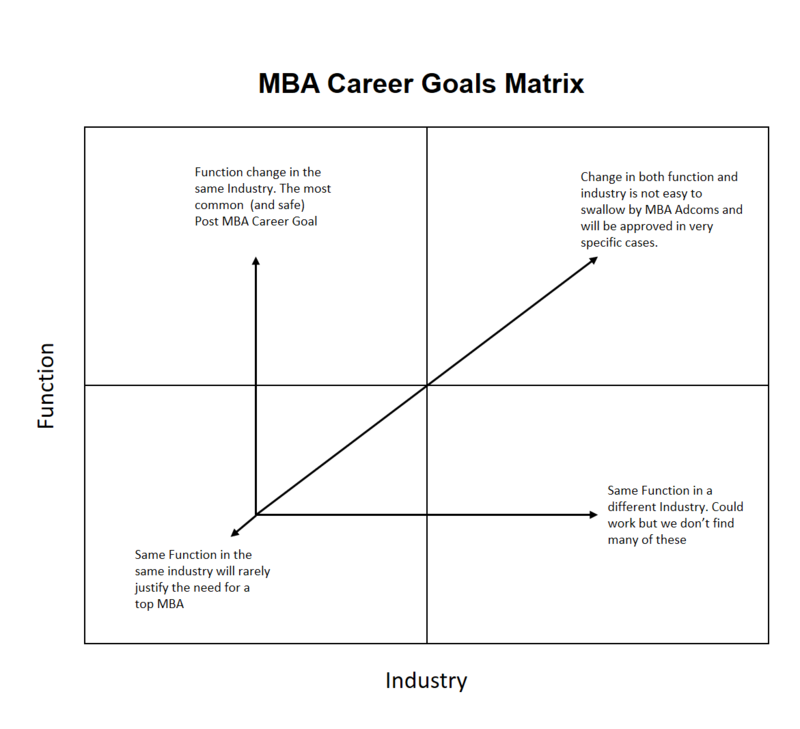 Secondly, we recommend using our “Function x Industry” matrix to sketch out strong short-term goals. Each position you hold has both a function and an industry. If you’re a software engineer, engineering is your function and tech is your industry. Now, when you think of your short-term goals, you should align your desired position in one axis: either function or industry. For example, if you are a software engineer and your short-term goal is to be a product manager in a startup, you’ve shifted functions, but maintained an industry. This makes your overall professional story coherent, sound, and feasible. If your goals are in line with your experiences and follow a reasonable track, the admissions committee will be excited to help you take your next step. However, if you write your short-term goal to be a consultant in McKinsey, you’ve shifted both industry and function. This jump is too big and makes you seem unreasonable. If you notice that your short-term goals have jumped both industry and function, revisit your career path and hone it back to something that is more in line with your professional history. Furthermore, note that shifting an industry can be a little trickier. If you want to shift industries, you should be able to draw some tangential connection of skillsets or work styles that make sense within both industries. Emphasize these similarities to soften the jump so that it doesn’t seem like it is out of the blue. Let this matrix serve as your sanity check. Regarding the mid-term goals, see that they are an upgrade of your short-term goals. Ask yourself “what is the growth curve here?” Is this a vertical or horizontal move? The final part of this essay is to answer the question “why INSEAD?” The way to do this is to examine your current skills as well as what you’ll need to know in terms of skills, qualities, and capabilities in order to land your ideal short-term goal position. This is your “needs” gap. Thus, in this section, you will explain how INSEAD will fill that need-gap through coursework, clubs, centers, professors, etc. This section is only successful if it is specific. It should mention specific courses, professors, clubs, positions, recruitment opportunities, and centers, as well as explain what they will teach you and how they will fill your needs-gap. You can check out our free School Research Guide if you want to learn more about researching schools for your applications. Plan on allotting between 300-400 words for this essay. Your answer should be distributed 50/50 as far as the goals and “why INSEAD” sections go. They are equally important and should each have a well thought out and detailed answer. How can we put this gently? … Get a job. Don’t find yourself in this position – it reflects poorly on your overall story. If you don’t have a job, you better have a good reason for it, such as significant, full-time volunteer work, adoption of a cause, learning a language abroad, or training of some personal skill that will eventually pay off in your career. Unless you’re doing something outrageously awesome, we suggest not answering this question and holding a job until you receive your “Congratulations!” letter. You can read more about INSEAD’s application essays by checking out our post on INSEAD’s Motivation Essay. For more about applying to MBA programs, our Top MBA school pages contain all the application and admissions info you’ll need to apply.